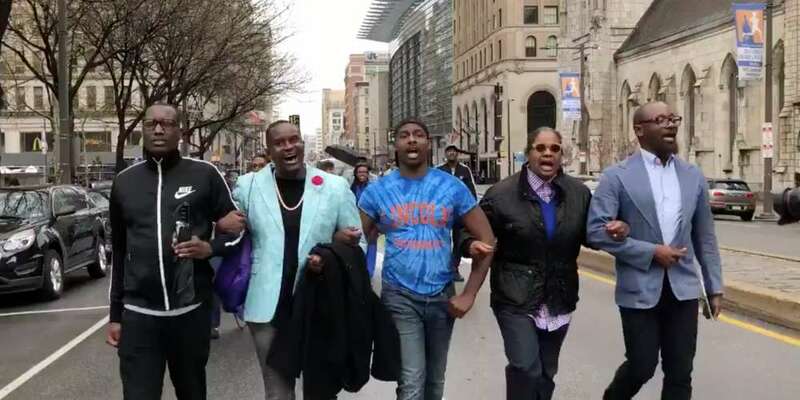 LGBTQ people of color took to the streets of Philadelphia on Wednesday to march. It was the first of its kind in the city, kicking off the 19th annual Philadelphia Black Pride Festival. 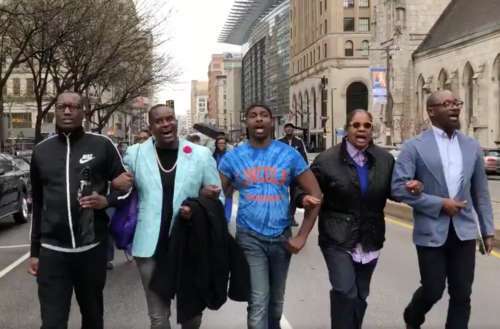 Throughout the rest of the week, there will be events every day associated with Philadelphia Black Pride Festival, including block parties, a finale day party featuring NeNe Leakes and panel discussions centered around issues in the community. The LGBT Center at University of Pennsylvania hosts a roundtable discussion about bias and stereotypes on Thursday, April 26, and the “I Am She, and She Is Me” brunch on Sunday, April 29, focuses on a conversation about the lack of visibility of the LGBTQ community in certain spaces. In terms of firsts, Philadelphia was the first city to adopt two new colors to its official Pride flag, celebrating people of color in the LGBTQ community. Last year, the city launched a campaign called “More Color More Pride,” adding one black and one brown stripe to the traditional six-colored rainbow. To find out more information about the Philadelphia Black Pride Festival, head here.